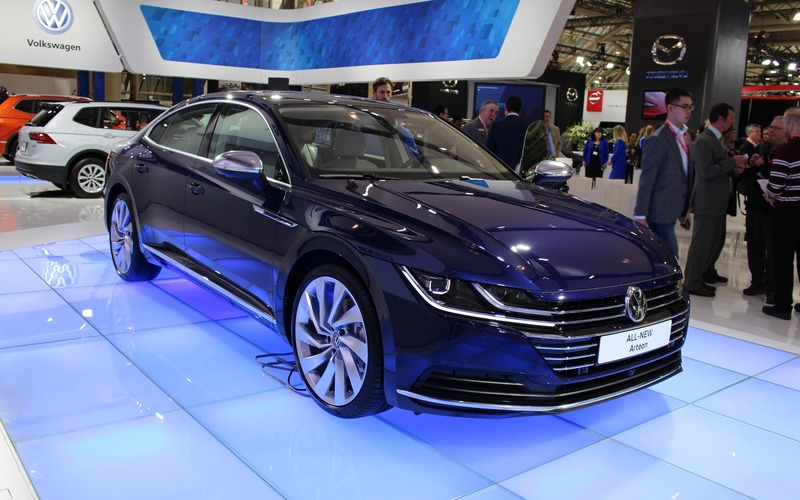 The Car GuideAuto ShowsToronto2019 Volkswagen Arteon Finally Confirmed for Canada! 2019 Volkswagen Arteon Finally Confirmed for Canada! Unveiled at the Geneva Auto Show last year, the Arteon midsize sedan, or four-door coupe, is already on sale in Europe, but the U.S. and Canadian markets had yet to decide if they wanted to add it to their product lineups. Well, the Arteon made its North-American debut at this year’s Detroit Auto Show, and now, Volkswagen Canada has just confirmed it will be available on our market as well. The 2019 Volkswagen Arteon is built on the company’s modular MQB platform, and is equipped with a turbocharged, 2.0-litre four-cylinder engine that develops 268 horsepower and 258 pound-feet of torque. It’s connected to an eight-speed automatic transmission and standard 4MOTION all-wheel drive. The Arteon will replace the Volkswagen CC in the brand’s product range, and rides on a longer wheelbase, which provides a roomier and more comfortable cockpit. Heated front seats, leatherette upholstery, keyless entry and start, 18-inch alloy wheels, three-zone climate control and an eight-inch touchscreen infotainment system will be standard. Ventilated front seats, heated rear seats, 19-inch wheels, and a massage feature for the driver’s seat will be available as well. Pricing hasn’t been sorted out yet, but the 2019 Volkswagen Arteon should be on sale in late summer. Also on display at the Volkswagen stand is the 2018 Volkswagen Passat GT, whose base price has been set at $33,795 before freight and delivery charges.